Ponderosa Stomp fans know that the most magical sounds often emanate from the most primitive of conditions. Take, for instance, the flood of hits that flowed from the legendary 15-by-16-foot hole in the wall that comprised Cosimo Matassa’s original J&M recording studio on Rampart Street. The same with Eddie Shuler’s tiny Goldband studio, which he opened in the rear of his TV repair shop in Lake Charles. The landmark songs recorded in just those two Looziana incubators – like Antoine Domino’s “The Fat Man,” Guitar Slim’s “The Things I Used to Do,” and Phil Phillips’ “Sea of Love” – mesmerize listeners almost because of their technical limitations, not in spite of them. Likewise, Jivin’ Gene, aka Gene Bourgeois, of Port Arthur, Texas, began his ascent to swamp-pop immortality by singing in the toilet. Not his greatest hit, “Breaking Up Is Hard to Do,” but rather the equally swampy “Going Out With the Tide,” later covered by another Meaux protégé, Freddy Fender (here in a duet with Tommy McLain). 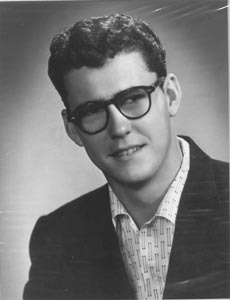 Soileau would release “Going Out With the Tide” as Jin 109 (backed with “Up, Up, and Away”), and it became a regional hit. Bourgeois confirms the story, but with a different twist. “Yeah, I really did sing in the shitter. But it was because I was so shy, I didn’t want anyone looking at me when I sang,” he told the 30 Days Out blogger. By the 1980s, nostalgia for the past took hold, and the accolades began to pour in. Gene was inducted in 1993 into the Louisiana Hall of Fame (Lou Gabus’ precursor to the current hall) and the Museum of the Gulf Coast Music Hall of Fame in 1995, and he received the Louisiana Hall of Fame Living Legend Award in June 2003. 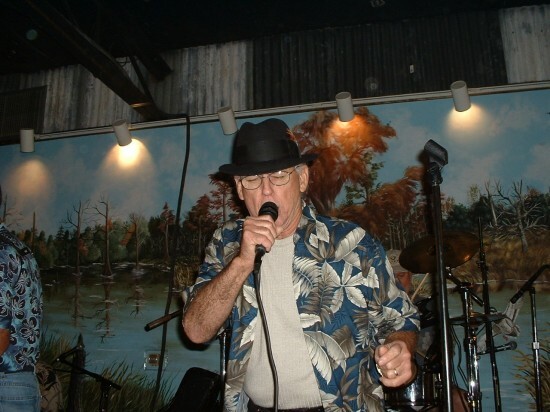 Jivin' Gene Bourgeois sings at a 2004 benefit at Pat's in Henderson, La. In recent years Gene has joined forces with fellow East Texan Ken Marvel, a keyboardist and singer whose working band provides able backing for Bourgeois on his semi-regular gigs. However, as a bandleader in his own right, Marvel is not content, like so many other groups, to merely recycle the golden swamp-pop oldies in letter-perfect, note-for-note renditions. Yes, he pays tribute to the masters, but on his two CDs (“Mr. Swamp Pop” and “Swamp Pop Music”) Marvel has actually written numerous well-crafted original songs with mature themes, sung with passion and earnestness. 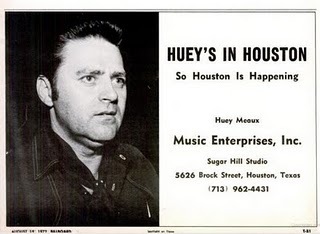 And it doesn’t hurt that he uses a crack coonass band for his recording sessions (including Warren Storm, Wayne Toups, Jon Smith, Pat Breaux, Jason Parfait, Steve Grisaffe, Tony Ardoin, and Mike Burch, among others). Be sure to catch Marvel playing around East Texas’ Golden Triangle area or else at his occasional Louisiana appearances. 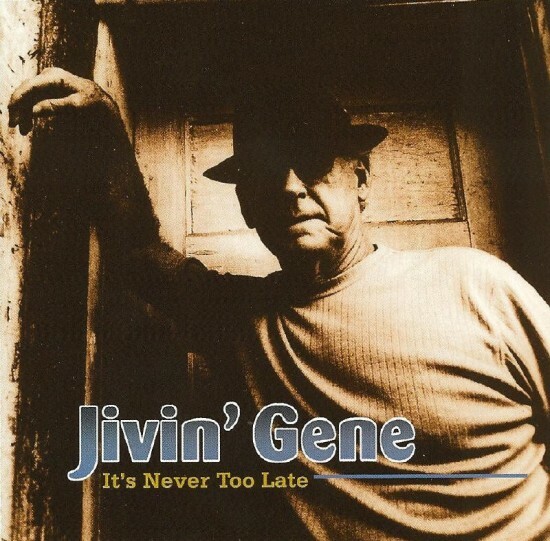 No longer reliant on the porcelain gods for acoustical succor, Jivin’ Gene has reunited with Floyd Soileau’s Jin label with a new CD, “It’s Never Too Late,” recorded at David Rachou’s La Louisianne studio in Lafayette and released in 2009. Gene wrote or co-wrote nearly every cut on the 14-song CD and is backed by Warren Storm on drums and rubboard, Ken Marvel on keys, and Rick Folse (son of legendary Vin Bruce band alumnus Pott Folse) on sax, among others. Don’t miss Jivin’ Gene at this year’s Ponderosa Stomp. To buy tickets, click here. To learn more about this swamp-pop legend, read this and this.